The challenge was to refresh the Fitbit identity and differentiate their messaging from the wave of new players in the market. We created a new positioning centered on making “everyday changes” that set Fitbit apart from other competitive products focused on performance. This position also informed a bright, bold, more approachable visual identity that we applied to the product UI and marketing website. 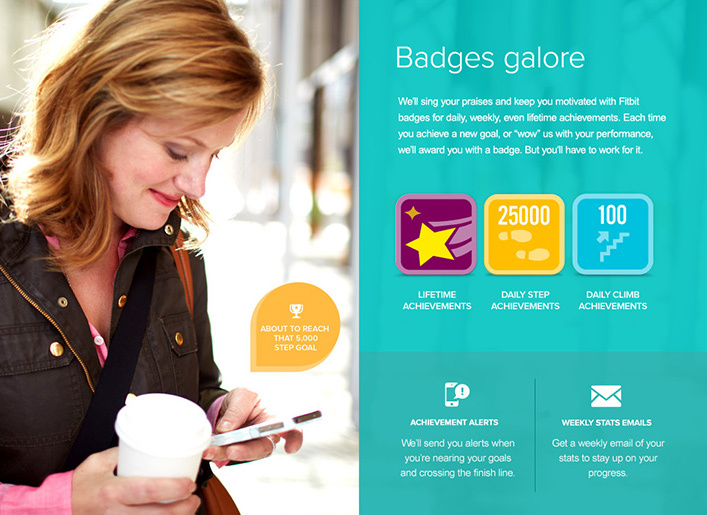 We designed the website to give shoppers a tangible feel for what its like to own a Fitbit. Engaging interactive moments present the product’s benefits in a way that makes them easily understood and relatable. Along with insights about the product, each interaction yields a fun and memorable shot of delight that promotes a deeper connection to the product.